I am a bachur who has been trying for years to get married. I was raised in a religiously lax home, attended co-ed schools and summer camps, but I became much more yeshivish while I was learning in Eretz Yisrael after high school. Whenever shadchanim try to set me up with girls who follow yeshivish hashkafos, they are not interested in me because my résumé indicates that I did not grow up yeshivish, and they feel that my family’s religious laxity could create shalom bayis problems. Whenever shadchanim try to set me up with girls who grew up modern and likewise “moved to the right,” those girls are not interested because my résumé indicates that I am too “Agudas Yisroel type for them,” and they feel that my level of frumkeit could result in shalom bayis problems. How would you approach this dilemma? The first thing you need to accept is that agreeing to a shidduch suggestion is a personal decision. Each person, no matter who they are or where they come from, has the right to decline a shidduch possibility that they feel is not the right fit for them. It does not have to make sense to an outsider or to the interested party, and it may seem as though there is no rhyme or reason for the refusal. When people are serious about marriage, they know what they need and what would bring them fulfillment in life. They will set out in search of that and decline from the outset what they feel is not right for them. There are times, though, when people relax their requirements and are willing to give someone who might be beyond their circle a chance. But that does not happen often enough. As a shadchan, I see this every day. The inflexibility that I encounter with some singles goes so far as refusing to meet the person for a few minutes, and even refusal to hear about any special attributes. It’s a shame, because one never knows who their bashert might turn out to be, and the person they are rejecting may have the qualities they seek but are not readily evident. To play it fair, I am sure that there may have been shidduch suggestions that you also declined. And there is nothing wrong with that. The problem arises when a person is davka looking for a particular type of person, but that type does not want him or her. And that is your dilemma. People who start out looking for a shidduch have ideas of what they want. There are times that it works out exactly to their specifications and they marry the type of person they set out to find. And sometimes it doesn’t. I will always root for the fulfillment of someone’s dreams and wishes, but it is best to be realistic and practical in order to achieve desired results. The way I see it, you have two choices. You can search for and wait for a girl to show up who is similar to you in hashkafah, yet is open-minded and feels compatible with you. That would mean that you will continue doing what you have been doing thus far with the hope that one day you will meet the girl of your dreams. Or you can alter your requirements and maybe find your luck in that way. There are a few things in your letter that I find perplexing. You are not the first person to have been raised in a home lacking in religious observance, or to have attended co-ed schools and camps, only to become more yeshivish after learning in Eretz Yisrael. 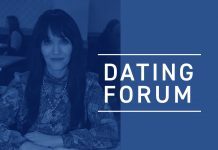 While I agree that such singles confront added challenges when they seek to date someone who has been yeshivish all their life, there are enough of such types in both genders that dating is not an impossible aspiration. Have the shadchanim you dealt with attempted to introduce you to girls who are of a similar past and present who had no problem with you? There is a very important reason that I pose this question. You do not say whether you are studying for a profession. You only state that you are a “bachur.” I could be wrong, but based on what you are saying, I am going to assume that you are currently learning full-time. That is certainly admirable and beautiful. However, parents who are modern Orthodox do not necessarily see it that way. And that might be why you are having problems dating girls who started off modern yet moved to the right. For all its spiritual beauty, learning full-time is also taking upon oneself an idealistic way of life. But, practically speaking, bills still have to get paid. Living a frum lifestyle in a frum community is costly. Unless one set of parents is willing to support the young couple and the growing family, iy’H, there are going to be big problems. 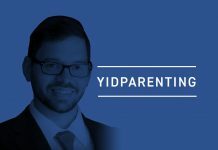 There are parents who are willing to shoulder such a responsibility, but, in most cases, those parents who respect such a lifestyle are typically yeshivish too. They may have watched their own parents and grandparents live a simple life dedicated to Torah learning. But in the majority of cases, those types of parents feel most comfortable with their daughter marrying a boy who has a similar background. Modern Orthodox parents, especially if they are educated, usually have no interest in a son-in-law who wants to sit and learn. And even if not formally educated, they believe in working for a living. So, if it does happen that a girl from a modern Orthodox home marries a guy who learns, shalom bayis problems are on the horizon. Even if you are not learning full-time, and you plan to educate yourself or at least have some sort of employment, there still could be issues of discord in the home based on hashkafic imbalances all around. The yeshivish parents may not approve of your modern parents, and the modern parents may have an issue with the lifestyle their daughter chose. People may not realize it until they are married, but when close family members do not get along with one another it can take a toll on the marriage. I have a feeling that the rejections you are receiving are coming from the parents of the girls who are being suggested to you. 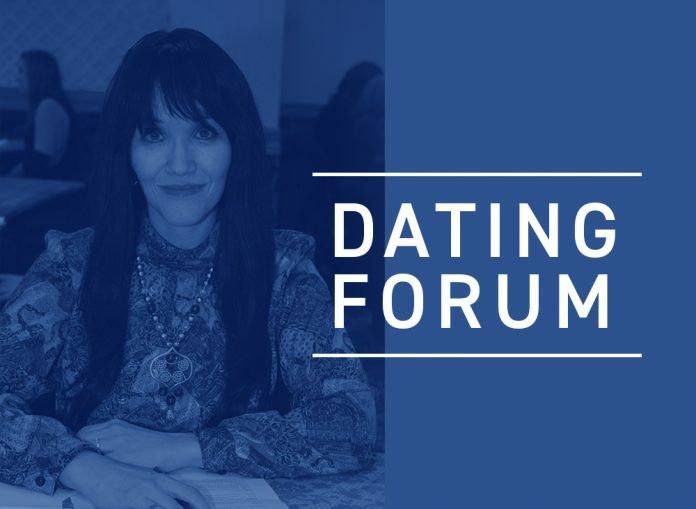 But if we were to leave the parents out of the equation, if the girls think you are too “Agudas Yisroel type,” it’s usually because even though they want a learning boy, they might be more attracted to someone who dresses on the trendy side, at least when they go out on a date. It sounds contradictory, but I see this often. There are girls who, in theory, want a yeshivish guy, but somehow when they meet him in his full yeshivish garb, they get turned off. But putting all that aside, there is another aspect to your dilemma you should take into consideration. You believe your hashkafah is holding you back from finding your bashert, and I don’t doubt that what you are saying is accurate. However, there could be other factors that you have not shared with me in your letter. And since I can only base my response on the little bit you said, I advise you to take a few minutes of honest introspection and try to figure out if there is something else going on. If so, you need to address that issue. Whatever you think is holding you back from finding your bashert may be one symptom of the problem. I recommend that you make peace with yourself about the type of girl you really feel most compatible with. There is a vast difference between a girl who has been raised yeshivish and a girl who was raised modern and moved to the right. Jumping from one type to the other might be confusing you. I would recommend that you stick with the latter. Focus on the girl who was raised modern and turned yeshivish. Ultimately, such a girl will get where you are coming from and understand your needs. Clearly, you would need to avoid the ones who are not attracted to your garb and who think you are too “Agudas Yisroel-looking” for them. I am sure that along the way you will be introduced to a girl who appreciates the way you dress and who you are on the inside. Additionally, if her parents are concerned about finances, you and your wife-to-be will have to find a way to make that work for you. At the same time, you also need to figure out if you should be a bit laid back in your requirements when you meet a girl who approves of you.